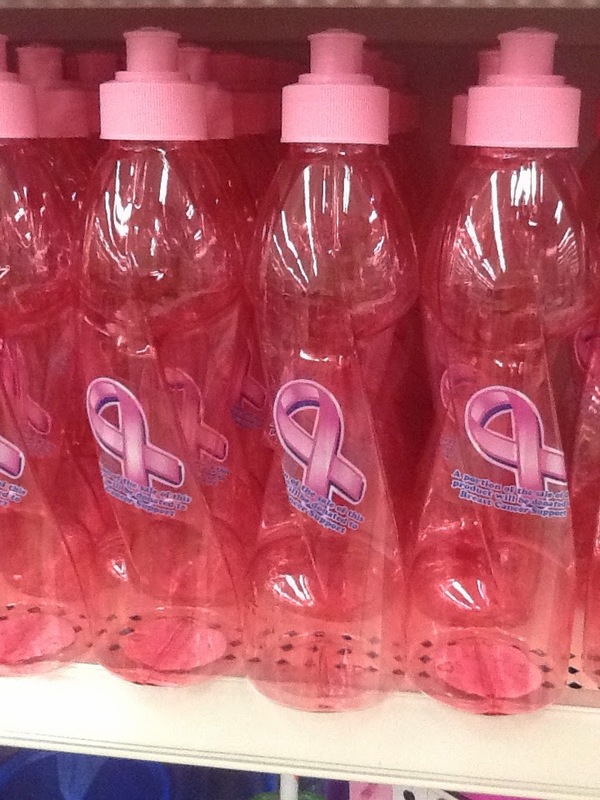 Not too long ago, I saw these pink plastic water bottles at the store. There is a label on the bottle stating that by purchasing the bottle, you are helping out in the fight against breast cancer. At first, I was angry when I saw this! And then I was saddened. Many people don’t realize that plastic contains endocrine disruptors. Endocrine disruptors are chemicals that have been proven to increase your chances of developing certain types of cancer, including breast cancer. These chemicals such as BPA (and BPA-free) are found in just about every plastic, among many other things. While there are many factors that can contribute to someone developing cancer, why knowingly add one of these factors? Read more about endocrine disruptors and here. Read about recent findings on BPA alternatives. Plastic items are alluring to many because they are usually inexpensive, lightweight and readily available. Along with the potential health issues associated with plastics, there are also environmental concerns; such as lack of proper recycling, the use of petrochemicals in the production of plastic and biodegradability. Ever heard of the “islands of plastic” floating in our oceans? 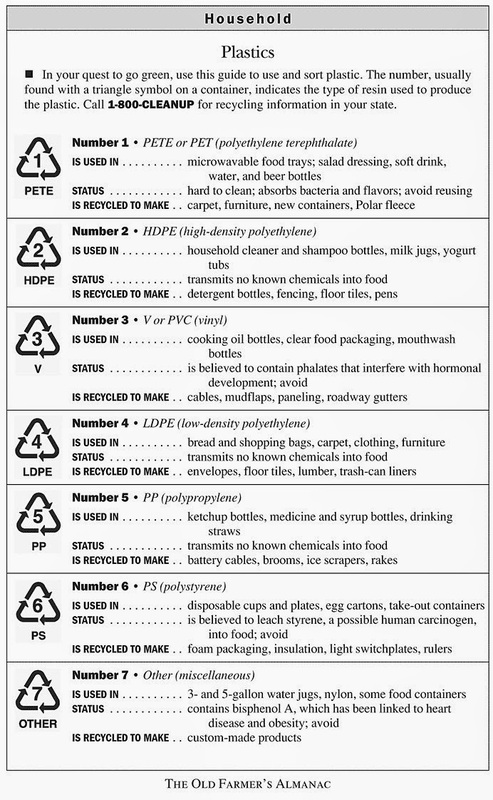 There are times we cannot avoid using plastic, use this chart to help you decode which types of plastic are the safest. “1” is alright for one-time use only; while “2”,”4″, and “5”, show the least evidence of leaching. With all plastics, regardless of number, heating and freezing may cause the plastic to expand and contract and possibly leach chemicals. There are safer, more environmentally friendly options to plastic! Stainless steel and glass are two options. Stainless steel is durable and cost-effective. Stainless steel water bottles are a great alternative to plastic ones, especially for younger children. Be sure to buy from a reputable company and verify that the inside of the water bottle is not lined with any material. Glass, although not as durable as stainless steel, is an inert material. Glass is easy to clean, and many companies now offer silicone sleeves to help protect the water bottle. A glass jar, such as a mason jar or other empty food jar, also make great water bottles. You can even purchase lids to convert your jar into a “drinking jar.” One brand we use at our home is called Cuppow. Years ago we did away with all of our plastic food containers. We now opt for Pyrex type containers with glass lids, mason jars, and other reusable glass containers. By making an effort to avoid what you know is potentially toxic, you will significantly reduce any adverse effects to yourself and your environment. If you are looking to make some environmental and healthy living lifestyle changes, and you don’t know where to begin, contact me. I would love to help you out.